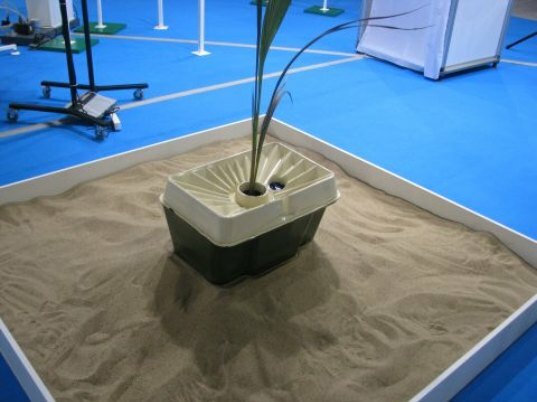 Groasis Waterboxx Can Grow Trees in Any Climate--Even the Desert! A new device can make a tree grow in Brooklyn–or California, or Holland or even the Sahara desert. The Groasis Waterboxx captures rainwater and condensation in the air, helping plants grow in even the most arid regions of the world. Pieter Hoff, the Waterboxx’s developer, hopes to use the new tech to combat hunger, erosion, climate change and deforestation. The Waterboxx is a round, 20-inch-wide container crafted from polypropylene. Rainwater and condensation collect in the box’s chamber, where water gets trapped. A wick goes into the ground beneath the box, slowly dripping water to the plant’s root system everyday. As the plant grows, its roots reach deeper and deeper in the ground, eventually finding their own water source. Once this happens, the box can be removed. It may seem like a relatively simple concept, but the Waterboxx has shown impressive results. Hoff tested the device for three years in Morocco’s Sahara desert. Ninety percent of trees grown with the Waterboxx survived after the device was removed. In contrast, only ten percent of trees planted without the box survived, despite the fact that they were watered daily. Next, Hoff plans to test the Waterboxx at 25 sites across eight countries, including the U.S.
Hoff is also making a biodegradable version of the box, which gradually decomposes, releasing nutrients in the soil. Hoff and his company, AquaPro, aim to eventually offer the Waterboxx as a non-exclusive, free license to any manufacturer. They are on sale in the US on both EBay and Amazon via Ardent Ideas, LLC. 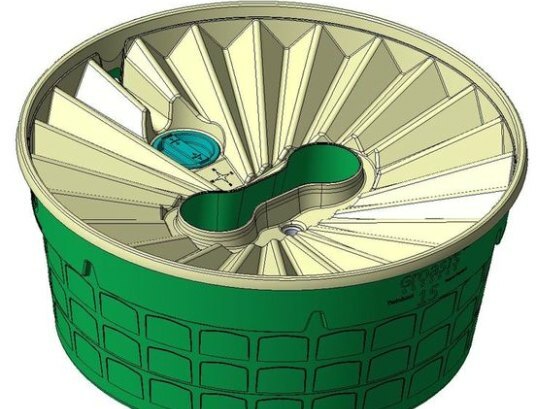 Groasis Waterboxx concept is a stroke of genius and an impressive piece of ingenuity. The application of the concept might solve some of the problems facing humanity as result of global warming and climate change. I understand the rainwater collection by the box but I am yet to understand how the contraption enhances condensation process. how can i build (manifature)it in my country (jordan)? if cant, how much it costs? A new device can make a tree grow in Brooklyn--or California, or Holland or even the Sahara desert. The Groasis Waterboxx captures rainwater and condensation in the air, helping plants grow in even the most arid regions of the world. Pieter Hoff, the Waterboxx's developer, hopes to use the new tech to combat hunger, erosion, climate change and deforestation.